Traditional Chinese Medicine (TCM), also known as Acupressure, is an ancient healing system that originated in China over 5,000 years ago. It has its roots in Taoism and sees the body as a microcosm of the larger universe. TMC looks at how the body works, what causes illness, and how to treat it. This method is one of the first alternative therapies to receive widespread recognition in the United States; it is very different from the standard western allopathic model. Traditional Chinese Medicine focuses on how Chi or vital life force flows throughout the body. It determines where the pattern of chi is disrupted or imbalanced in the body. Utilizing the concepts of yin/yang, the five element theories, and the eight principles, TCM utilizes Chinese herbs, acupressure, and acupuncture as its treatment modalities. TCM is therefore primarily focused on the meridian system. The meridian system and its associated acupoints is one of several systems of the body that transforms and regulates the subtle energetic aspects of the body within its physical structure. In other words, the meridian system is part of our energetic anatomy and strongly influences our physical anatomy. By utilizing acupressure, acupuncture can have a powerful effect on restoring strength and mobility, eliminating pain, and increasing vitality. Balance in the vital flow of Ki Chi, or Prana is a central aspect of healing. 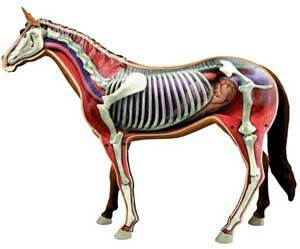 Find out where it is stuck, and you will find where dysfunction, lameness, and disease are located in the body.